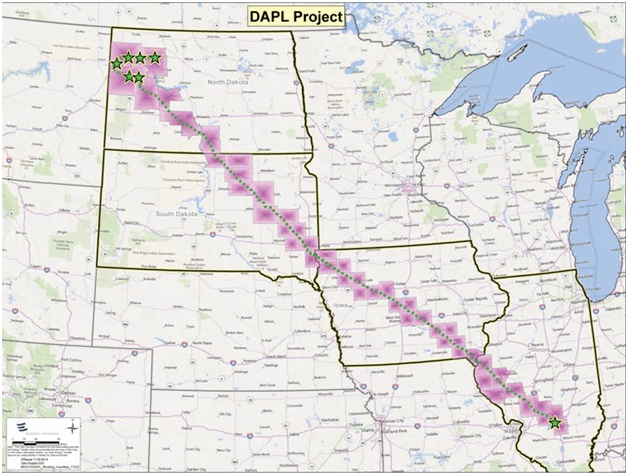 If construction is completed, the pipeline is expected to carry approximately 500,000 barrels of crude oil daily from North Dakota to Illinois, crossing underneath Lake Oahe and the Missouri River a half-mile upstream from the Standing Rock Sioux Tribe’s reservation. The Missouri River is the main source of drinking and irrigation water for the 8,200 residents of the Standing Rock reservation. The pipeline would pump an estimated 17,000 gallons of oil per minute underneath this water source, which would be devastated by a spill or leak. This project poses serious environmental threats and will disturb burial grounds and sacred sites on the Tribe’s ancestral Treaty lands. On July 26, 2016 the U.S. Army Corps of Engineers gave its approval to run the DAPL underneath Lake Oahe, in violation of federal law. 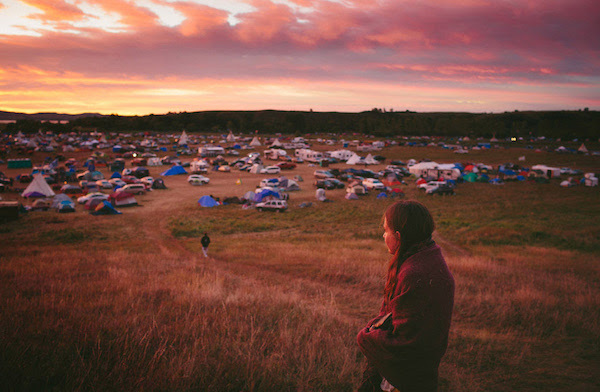 One day later, on July 27th, the Standing Rock Sioux Tribe filed a complaint in federal courtseeking an injunction to halt construction. 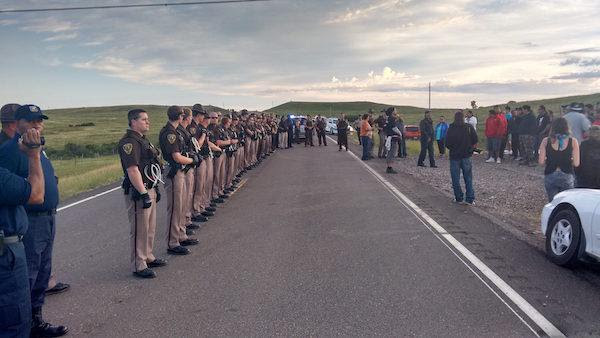 The Tribe’s legal action has been followed by a rapidly growing movement of peaceful support. A timeline and collection of articles chronicling events is available here. Who is Behind the Pipeline? Fracking operations foul the water supplies in a number of ways. The water table can be irreparably damaged by the hydro-fracking itself, which is a separate issue from contamination from pipeline leaks in that. Likewise, the groundwater can be tainted very quickly and profoundly by the disposal of fracking wastewater. As part of the fracking process, some of the fracking injection fluid returns to the surface of the earth, mixing with groundwater to produce a toxic wastewater by-product. Drilling companies then dispose of this contaminated wastewater by injecting it back into the earth via wastewater disposal wells. This procedure has caused earthquakes in fracking regions all across the country. Fracking’s toxic wastewater by-product also causes very serious health problems, which can continue on for many generations. GreenMedInfo has published two reports on studies of fracking wastewater which has been found to release radioactive waste into the environment, which has been proven to be cancer-causing. Abstracts for 17 studies of the health and environmental consequences of fracking can be found here. 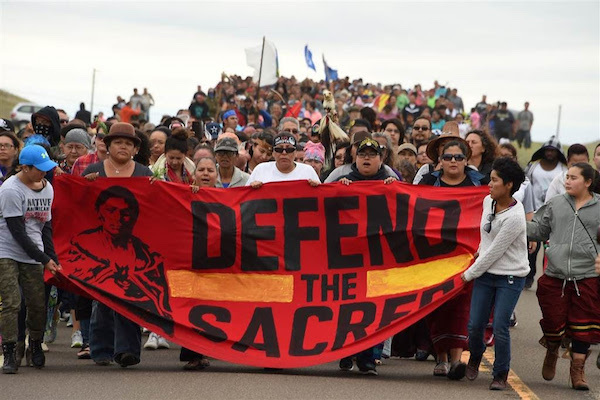 The resistance at Standing Rock is part of a global call to challenge the oil and gas industry and the damages it has inflicted upon our planet. 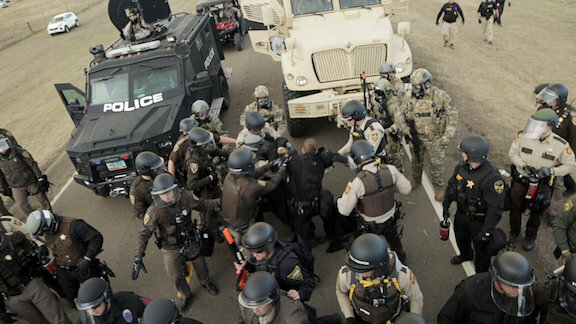 Wars are waged for control over oil resources. Nations have seen vast swaths of countryside irreparably laid to waste by oil drilling rigs. Bodies of water across the world have been sullied by tar balls and oil spills in the water. Unsuspecting communities have seen their water supplies irreversibly contaminated by hydro-fracking the land. 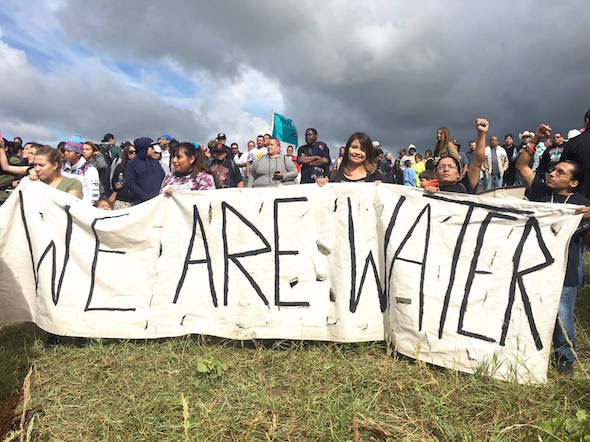 GreenMedInfo stands with these water protectors as they fight for the rights of us all. 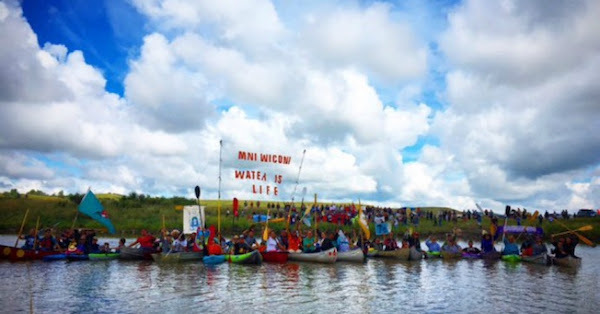 Standing Rock Youth – Rezpect Our Water!